If I worked in the industrial market right now, I’d be giving a whole lot of thanks to the digital transformation. In fact, many believe the world is facing another full-scale industrial revolution—one that changes everything from who designs and tracks our products, to how they are managed and made. The impact of digital transformation on the industrial sector has been on my mind for quite a while. I still remember the first time I learned about “smart packaging”—a package’s ability to keep products safe, secure, and fresh without human intervention. And that’s nothing compared to what we’ve seen in terms of security, efficiency, and automation in the past few years. My colleague Shelly Kramer recently discussed how Bitcoin and Blockchain will enhance security for the industrial market. Meanwhile, a new wave of 3D printers—ones that print in metal for industrial applications—are also set to turn manufacturing on its ear. 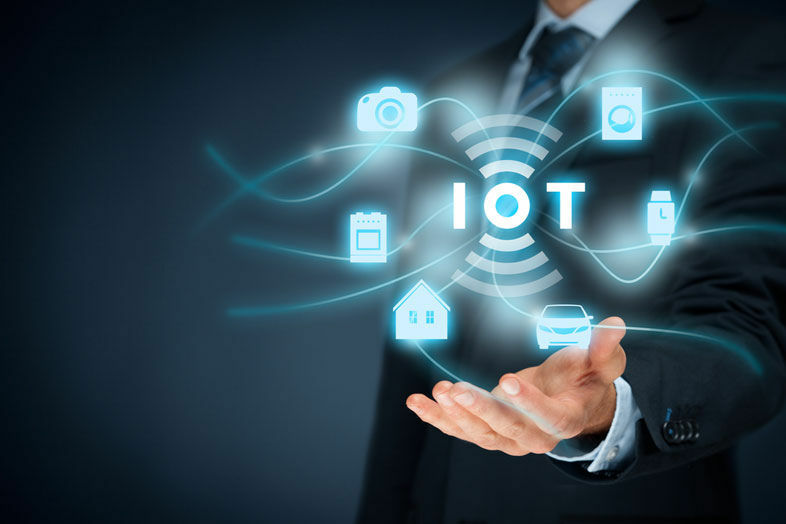 Still, those innovations seem to pale in comparison to the increasingly growing Industrial Internet of Things (IIoT), and the changes it’s likely to bring to this massive economic sector. According to McKinsey’s report, “The Internet of Things: Mapping the Value Beyond the Hype” the potential value to be “unlocked” via IoT applications in factory settings alone could total nearly $4 trillion by 2025. Others estimate the IIoT could add some $15 trillion to the global economy by 2030. So, what are these amazing IIoT innovations? And how will they change the industry in irreversible ways? The following are just a few of what I believe to be the biggest IIoT change-makers. In an age when customer experience—and satisfaction—is more important than ever before, it makes sense that manufacturers are even more concerned about the quality and consistency of their products. Back in the day, quality assurance agents would inspect everything from single products to entire warehouses of goods—all with their own eyes and hands. As you can imagine, the process took a lot of time, and led to quite varied results depending on the person’s mood, level of attention, and how much time they had for the inspection. Instead, the IIoT allows businesses to bring a sense of uniformity—and trust—to their QA process, using systems of intelligent sensors to ensure all products meet certain quality standards. Even more, those sensors can store and send data to analyze when errors occur, how often, and how they might be addressed in the future. This has the potential to save millions of dollars in lost product, customer complaints, and even employee salaries. Using the IIoT and machine learning, managers can better assess levels of supply and demand and the availability of parts to ensure employees have consistent workflow through a given day, month, or year. Even better, they can use predictive maintenance to schedule machine down-time so that no time—or money—is lost due to machine malfunction. In the factory environment, it’s incredibly important to keep track of production specs, lab notes, and machine information to ensure production lines keep running smoothly. Unfortunately, in the past, it’s been difficult to use some of this “unstructured” data because it takes too long to sort and process. Today’s machine learning and analytics systems can process that information to more accurately determine the efficiency of every line’s production process—and how to improve it moving forward. And in situations like cleanroom environments, the IIoT can help ensure products are properly maintained and documented to meet strict industry specifications. Data management can be an overwhelming process in the industrial environment, as it requires input from suppliers, vendors, machines, managers, logistics workers, and nearly every employee in between. The deep learning behind the IoT allows for better, more accurate—automatic—capture and analysis of this information so that no insights are lost in the manufacturing process. For all the growth the IIoT offers, some may worry about the potential loss of jobs incurred from yet one more automation-oriented industrial change. I’d argue, however, that we don’t need to worry—yet. I can confidently say we’re nowhere near handing off all processes in the factory environment to computers alone. As with almost any industry facing digital transformation, change is never seamless or easy. Most factories today are running on a complicated system of legacy machines, new technology, and a range of employees from Millennials to Boomers. They will all require training—and more training—to ensure the full benefits of the IIoT are realized. What’s more, many believe the IIoT will lead to even more job creation. Some estimate 10 million new developers will be needed to help manage the IIoT by 2020. While I can’t guarantee that, I do believe most companies—and communities—will see a considerable benefit from IIoT adoption. Working better and smarter inevitably leads to better, smarter developments. I wouldn’t be surprised if yet another industrial revolution is already waiting in the wings.